The match ended 1-2. Bet on the next Champions League matches. Manchester City have targeted Champions League glory after conquering the Premier League, with Lyon their first opponents. There can be no more excuses for a Manchester City side who stepped into another gear last season setting record after record in the Premier League. Now the quest for European dominance has a very real chance of becoming real but first they must prove their credentials against a tricky Lyon side they will be favourites to overcome. Pep Guardiola’s Manchester City will expect to mount a serious assault on the Champions League this season and games against sides such as Lyon should cause the Premier League champions few issues. However, this is football and despite City’s domestic dominance they are yet to excel on the continent. 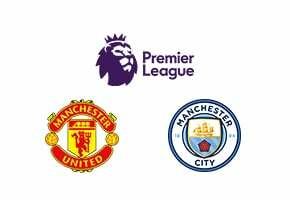 That said, City have a good record against French opposition having only lost once in five matches and Lyon have had a mixed start to the season making a steady 2-0 win for the home side our prediction. Manchester City to win at 1.19. Bet Now with Betway. Considering Manchester City are 1/6 to win the match outright, betting on the half time result makes much more sense than betting on the 90 minutes results. On home soil City are strong and have not lost on home soil in the Champions League in their last eight games winning seven and drawing one. A goal to be scored in the first 10 minutes is 3.47. Bet Now with Betway. We have selected this bet purely on value for money and the fact that City netted a total of 106 times in the league last time out. With Sergio Agureo and Gabriel Jesus on form once again this season, a fast-starting encounter looks like the way to go in the betting. Surprisingly, Manchester City and Lyon have never met in competitive action before meaning there is no head to head data to go on. However, Manchester City have won two, drawn two and lost just once against French opposition in the tournament. Also, the men may have not played against one another, but the women’s teams have. They met in last season’s Champions League semi-final in which Lyon won the contest 1-0 on aggregate. City’s women did get the better of their opponents in a 2016/17 Champions League game winning 1-0 in France. This will be the first competitive meeting between Manchester City and Lyon. Manchester City scored 106 goals in the league last season and finished with a record 100 points. Lyon are back in the Champions League group stages after missing out on a place last season. Manchester City have played French opposition five times in the competition winning two, drawing two, and losing one. Lyon scored the second highest number of goals in Ligue 1 with 87 which saw them end the campaign in third and fifteen points behind eventual winners PSG.